MUKK is a creative lifestyle brand in Malaysia on a mission to create something different from the “ordinary” in our everyday lives. According to them, we Malaysians “have a very low perception and understanding of good design”. 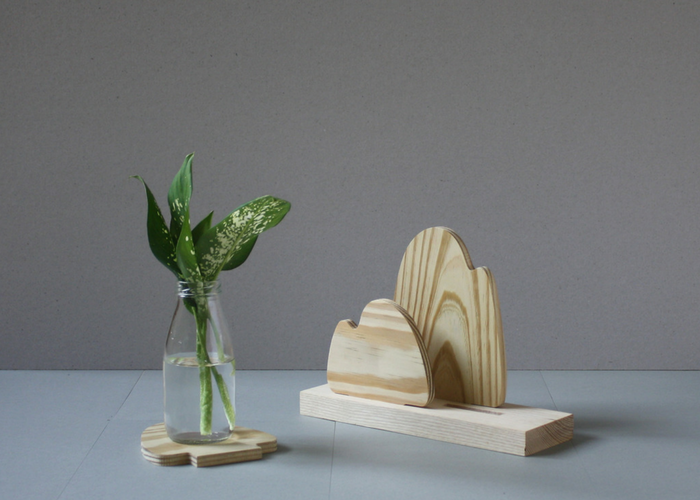 They aim to change the perception of what Malaysians think of as “good design”, through their own handmade local pieces. MUKK was founded by Sim Chia Yi and Vivien Shi Wei in 2015. What started out as their love for design and to provide quality handmade woodwork products shifted to an obligation to to deliver sustainable design management that will help build the industry and preserve the environment. They use a variety of local wood and lumber sourced overseas, particularly rubberwood because of its sustainable factor. This comes as no surprise as their name itself—MUKK—means wood in Mandarin, which represents their concept of wood material. Another choice of material is plantation wood, which they are more careful in selecting because of the health risks they pose to the public. They highlighted their coaster, which also functions as a table organiser. Common coasters that consumers use are usually made out from layers of paper and will rot over time, requiring a replacement. Other problem-solving innovations they provide is the egg crate, which doubles as a muffin holder, pot-plant display, or even your own pot organiser! Similarly, their desktop organiser can be used to store stationery, trinkets, or even jewelries. You can even personalise it with photos or positive quotes to uplift your mood—take your pick. One piece that stood out to me is the MUKK frame, a simple design that can frame up any quote or picture of your choice. 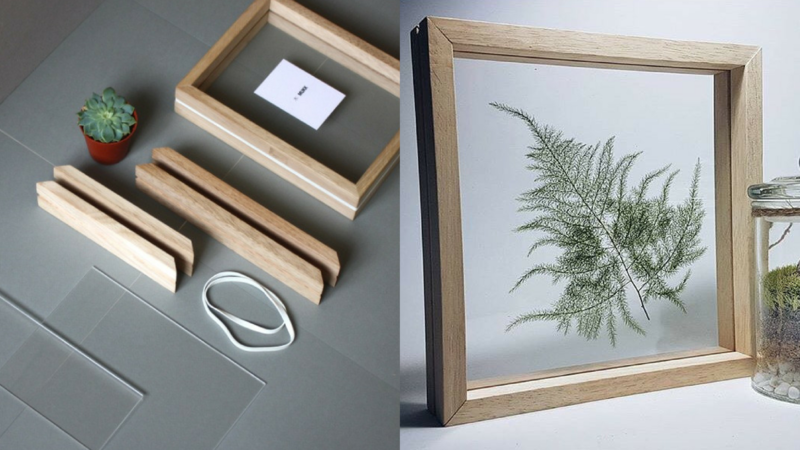 The frame is held together by a rubber band, and the acrylic used helps to give an illusion that whatever you’re framing up is suspended mid-air. Depending on the product, the MUKK team shared that it can take 6 months to 1 year to fully complete the production and development. They are seeing a 20% growth rate per annum and have already broken even with their early beginnings of a capital of RM40k. Both of the designers are currently working full-time on MUKK and specialise in “experience design”. It is the practice of designing products with a emphasis placed on enhancing the user’s experience and provide relevant solutions. Starting out from local roots did not deter them to set their sights on overseas ventures in the past. Their eventual objective is to be an internationally recognised brand, born and bred in Malaysia. 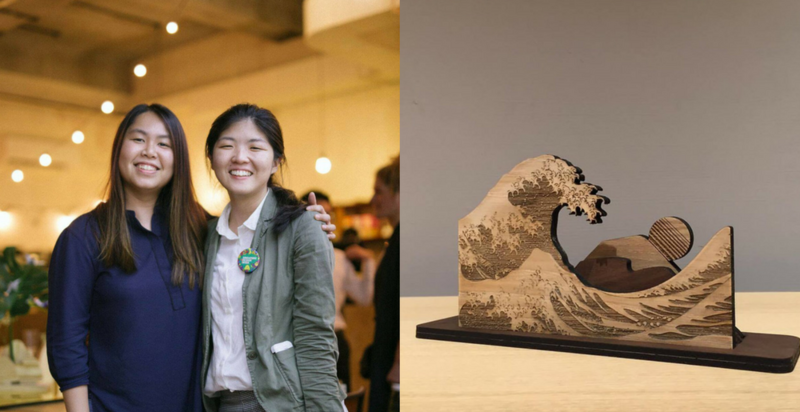 One of their prominent art installations is now permanently displayed at The Bravery Cafe in conjunction with Singapore Design Week. Apart from Singapore Design Week, they also collaborated with Gwang Ju Design Center, and Malaysian Design Council as one of the selected design studios to represent the country for this collaboration. 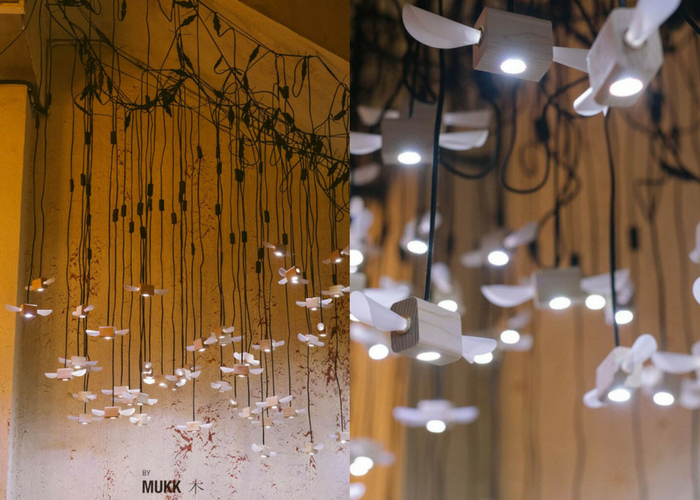 Their work was also published in overseas fairs such as Mobili Milan Malaysia 2015 and MIFF Furniture Design Competitions 2015. Vivian’s designs were also exhibited in the 2016 Malaysian International Furniture Fair.